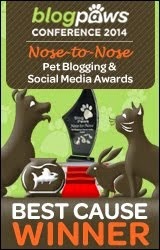 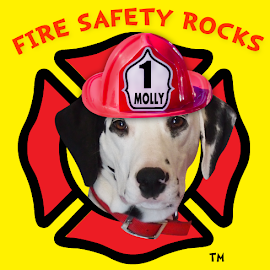 Fire Safety Rocks: Sparkles the Fire Safety Dog and Author Dayna Hilton Celebrating Release! 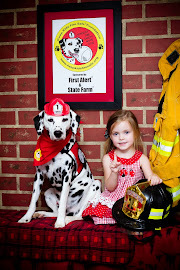 Sparkles the Fire Safety Dog and Author Dayna Hilton Celebrating Release! 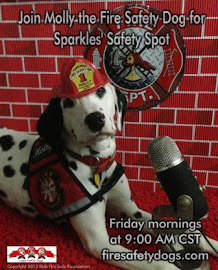 Sparkles the Fire Safety Dog and Author Dayna Hilton are celebrating the release of the 2nd edition of Sparkles the Fire Safety Dog! 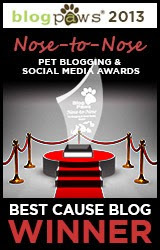 After a successful print of 15,000 of the first edition, the new edition is now available by ordering at your local bookstore and on Amazon.com. 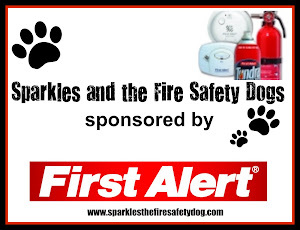 A portion of the proceeds benefit the Keep Kids Fire Safe Foundation.